This past year has been an extraordinary milestone for the Ivoryton Playhouse – our 100th year. Please help to ensure that the First Lady of Connecticut Theatre continues to stand strong during her second century of life by becoming a member of the Ivoryton Playhouse Foundation. Memberships start at just $35. Membership funds allow us to accomplish many things: preserve the historic building, improve our facilities so audiences can be more comfortable and purchase new technologies to make our organization more efficient. Did you know that ticket sales only cover the cost of the shows? Ticket sales fund the talent; membership dues keep the building alive. Become a member today. Play your role in preserving the tradition of quality theatre at the historic Ivoryton Playhouse. Click here to see benefits and to download an application form. One of the most terrifying live theatre experiences – ever! As the nights are drawing in and Halloween is in the air, who doesn’t love a good, old-fashioned ghost story? Especially a ghost story told on the stage of a 100 year old theatre. Well, you’re in luck! 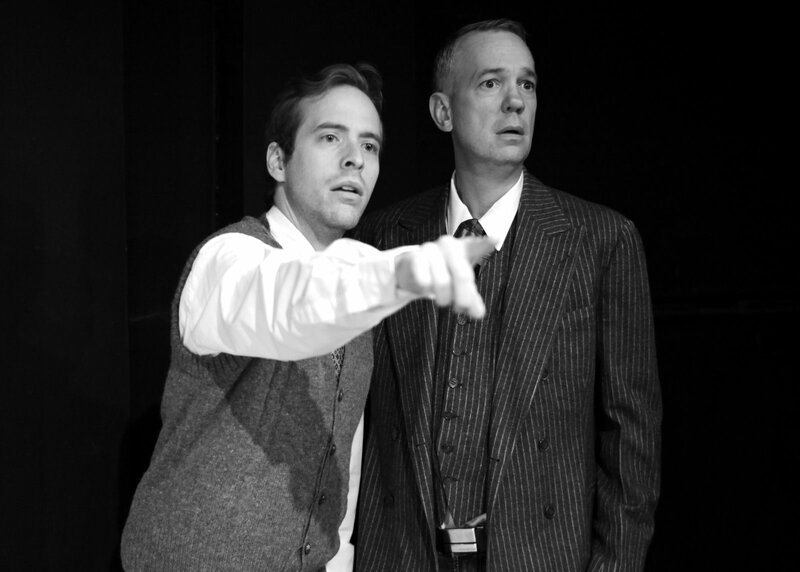 The Ivoryton Playhouse is presenting Stephen Mallatratt’s brilliant adaptation of Susan Hill’s classic chiller The Woman in Black from November 2 – 20. Unanimously acclaimed by the critics and now in its 23rd year in London’s West End, The Woman In Black is a terrifying trip through time into a tragic and ghostly world where the horrors of the supernatural combine with the power and intensity of live theatre to send shock waves through the audience with splendid thrills and chills. The Woman In Black is both a brilliant exercise in atmosphere and controlled horror and a delicious spine-tingler – proof positive that that neglected genre, the ghost story, isn’t dead after all. 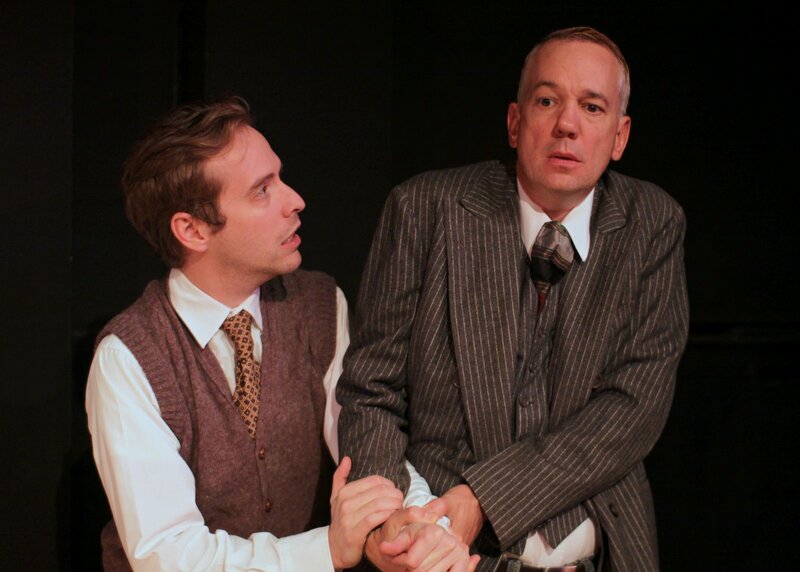 Directed by Maggie McGlone Jennings, the show features Steve L. Barron*, who was last seen in Ivoryton in Driving Miss Daisy, and Ian Lowe*, who is making his Ivoryton debut. Maggie is a veteran director has been seen on the Ivoryton stage in Moon Over Buffalo and Steel Magnolias, but this will be her directorial debut here. Set design is by Tony Andrea, lighting design by Doug Harry, sound by Tate R. Burmeister and costumes by Vicky Blake. The Woman in Black opens on November 2nd and runs November 20th for 3 weeks. Performance times are Wednesday and Sunday matinees at 2pm. Evening performances are Wednesday and Thursday at 7:30pm, Friday and Saturday at 8pm. Tickets are $40 for adults, $35 for seniors, $20 for students and $15 for children and are available by calling the Playhouse box office at 860-767-7318 or by visiting our website at www.ivorytonplayhouse.org (Group rates are available by calling the box office for information.) The Playhouse is located at 103 Main Street in Ivoryton. Thank You Readers of the Shoreline Times!!! For the second year running, the Ivoryton Playhouse has won the Shoreline Times Readers Poll Best Place to See Live Theatre on the Shoreline! Thank you for this fabulous honor! We are thrilled! The new date for local auditions for our December production of Home for the Holidays is Wednesday, October 12th from 5:00pm – 7:00pm. Please call 860.767.9520 to book an appointment. Click here for more information.